If you’re anything like me, you probably cry every time you have to go through your baby’s clothes to put away/toss out the clothes that are too small. No? Ok, maybe it’s just me. =] Anyway, here’s a fun project I was finally able to finish after 3 years. Since I finally have some time off and we decided to stay local this year instead of going on vacation, I finally got some time to spend on something that I’ve been wanting to finish for a long time. Three years ago when we left California I was half-way done with getting this quilt together. In one of the two suitcases that we brought here from California, I had all the pieces of the top of this quilt. It would have been a complete waste if I never finished it! 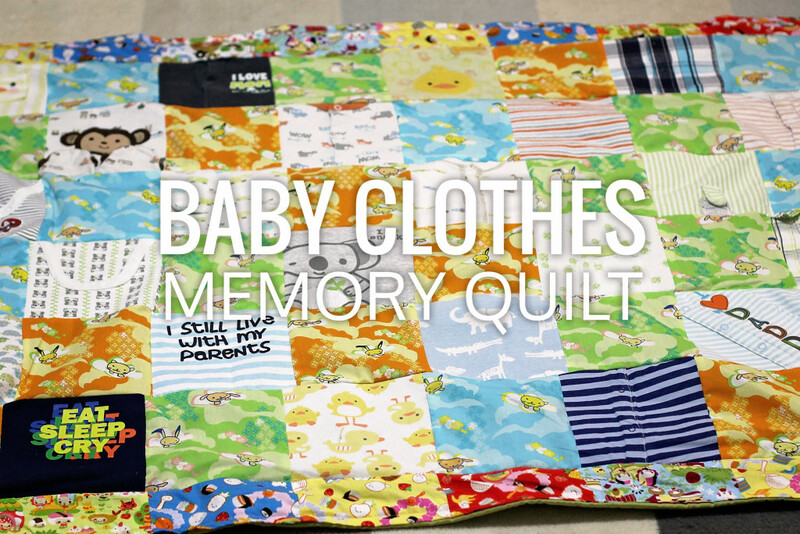 This quilt is made out of pieces of Rand’s clothes from his first year, and fabric from the trip to Hawaii that we took when Rand was 3 months old. The inside is filled with fleece from the leftovers of the Totoro costume that I made for him last year for Halloween. All in all a blanket full of memories.